Back in stock! "Less than a year and a half after their debut RATA NEGRA from Madrid release their sophomore album. Made up of members from JUANITA Y LOS FEOS and LA URSS this trio have a strong work ethic and deal in super catchy and upbeat punk. 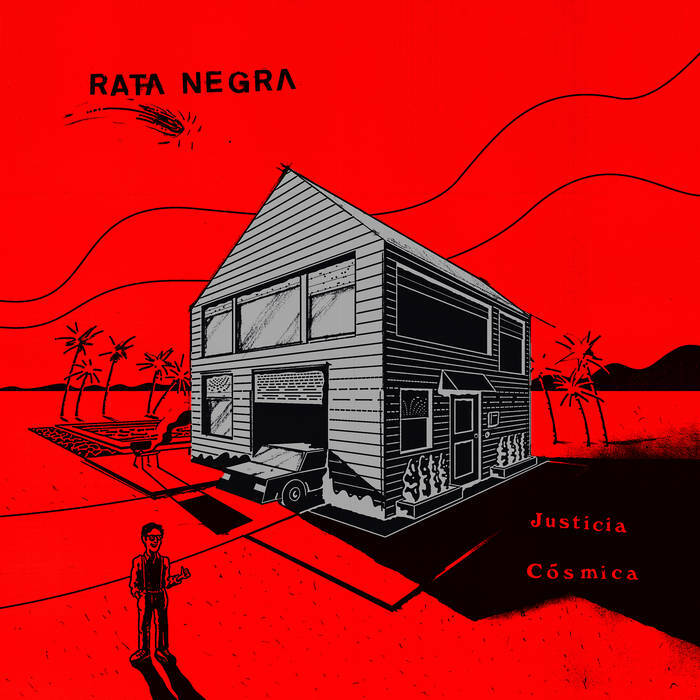 On Justicia Cósmica, RATA NEGRA have upped the pop element in the songs and the production is stronger and chunky, without losing any of the raw elements. Again the whole sound is immersed in the darker and morbid side of post punk but mixed with the uptempo nature and tunes and of La's X and Gorilla Angreb. Like on their debut, it's love at first listen. Justicia Cósmica was recorded and produced by the legendary Paco Loco and as in previous releases the sleeve was designed by the band’s guitarist Fa Feo who also took care of the lyric insert." -LVEUM.